Dikpal Karki from Nepal is going to participate in Mister Model of the World 2018. The competition in Myanmar will include models from India, Thailand, Indonesia, Japan, the Philippines, and various zones of the world. Dikpal Karki is a Nepali model and actor. 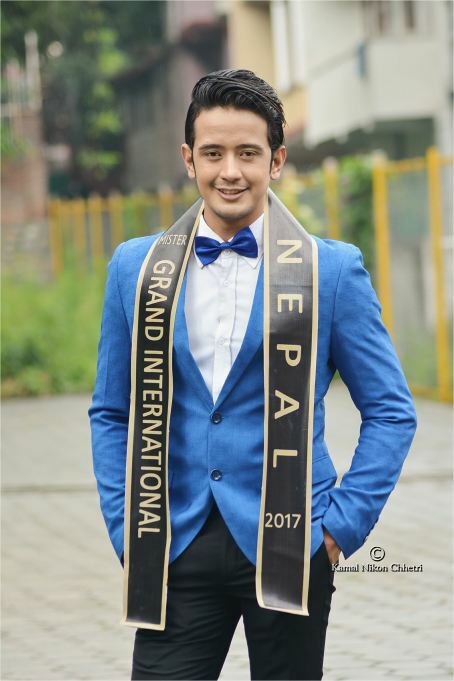 He is a winner of Mister Grand Nepal 2017. He is the winner of Social Media Star and People’s choice award at Mister Grand International 2017. The 6 feet tall 28-year-old, who is also a veterinary doctor, was the official choreographer of Mister World Nepal 2017. He started modeling career in 2009. Dikpal began modeling at age 19. In addition to modeling, he has pursued an acting career. He has appeared in several music videos and films. His first movie is Rang Baijani, directed by Sambhu Pradhan.